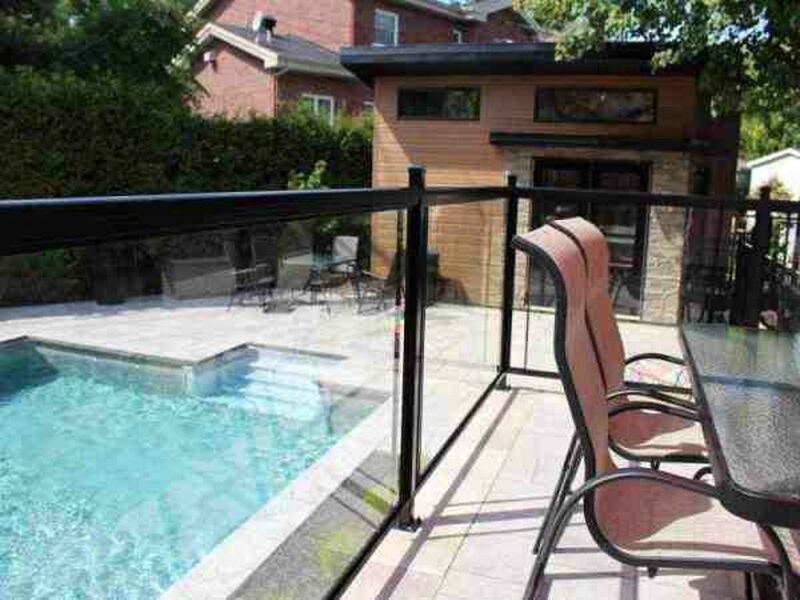 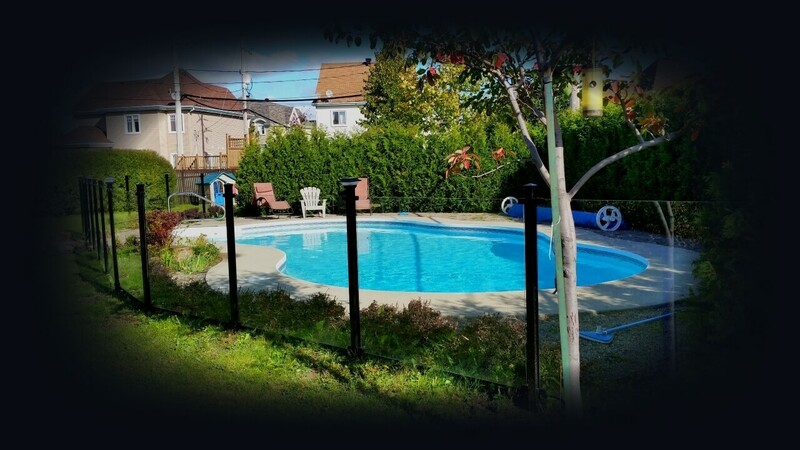 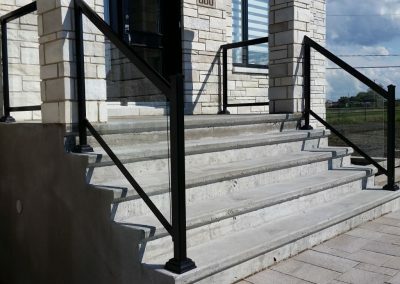 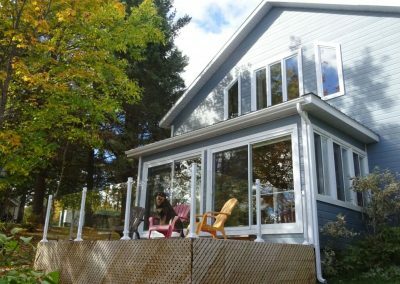 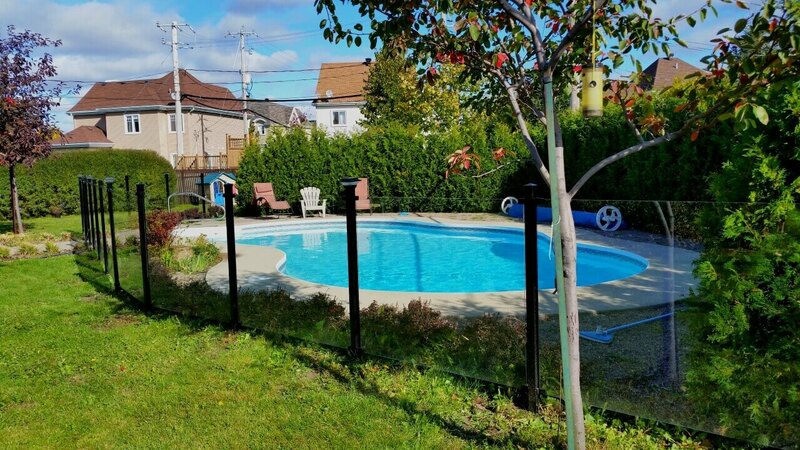 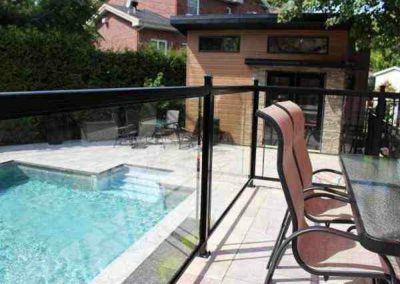 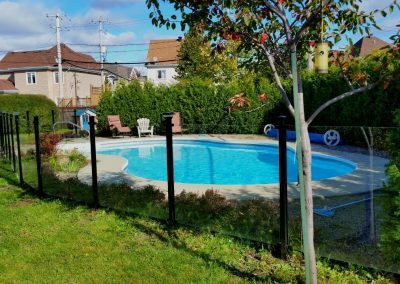 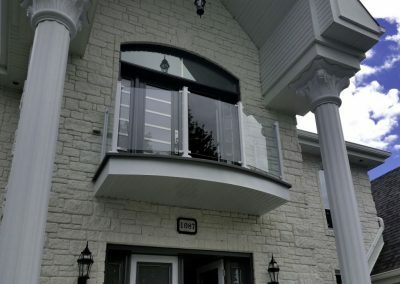 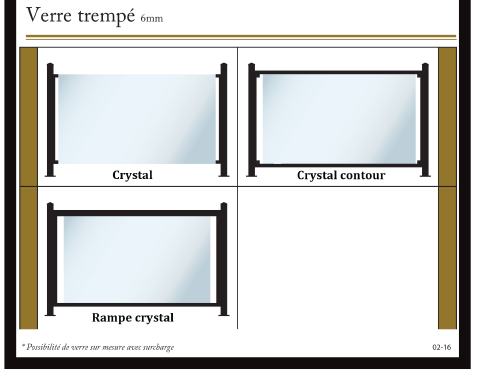 Glass Fence | Clôtures Frontenac Inc. Glass Fence | Clôtures Frontenac Inc. 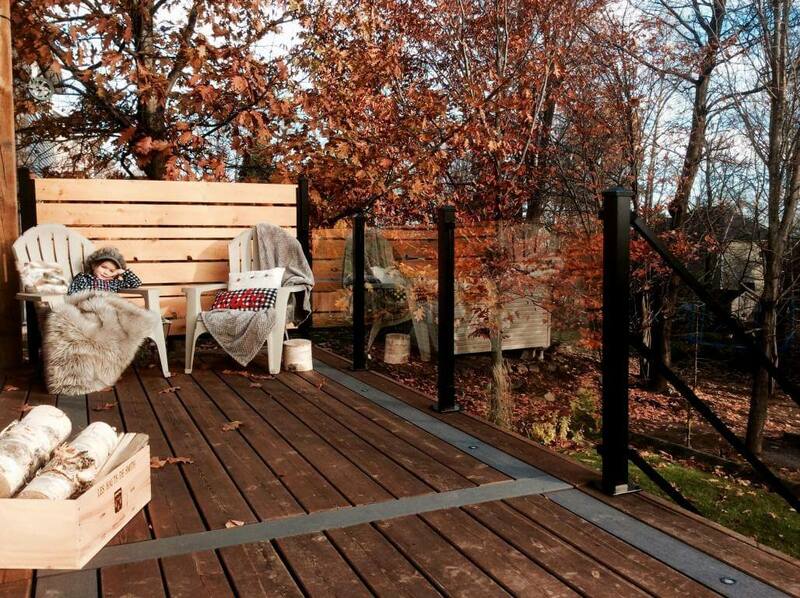 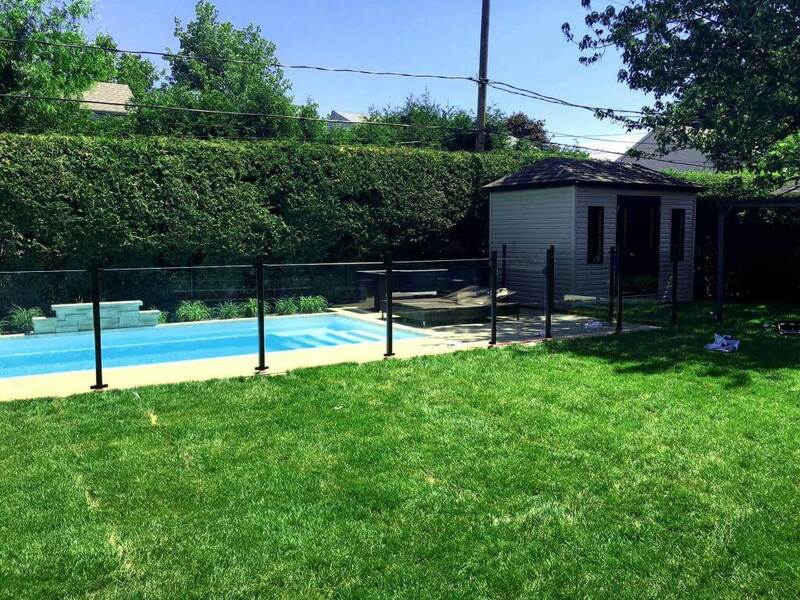 The tempered glass fence is perfectly integrated with your landscape and it is of great strength. 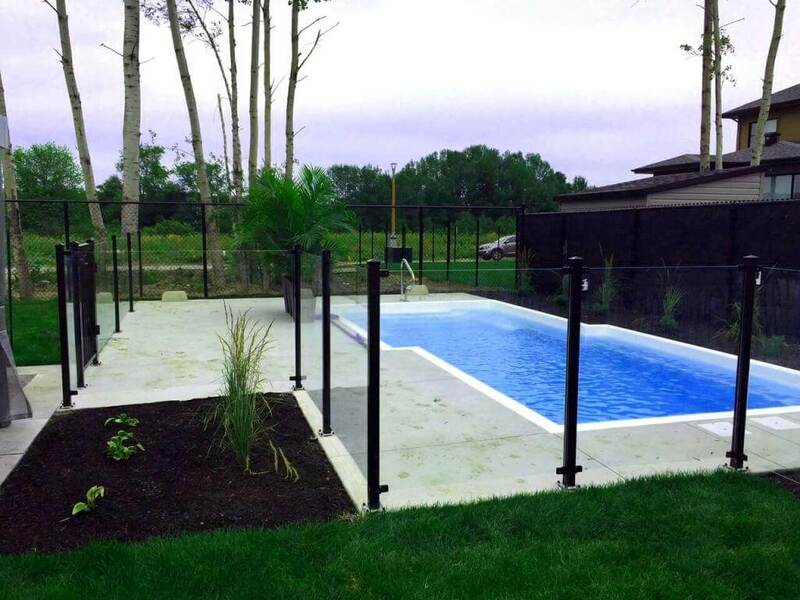 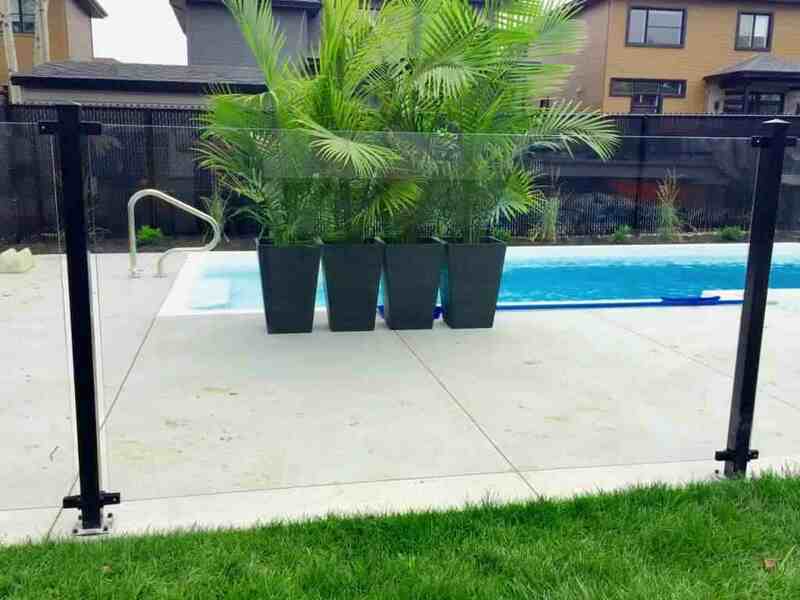 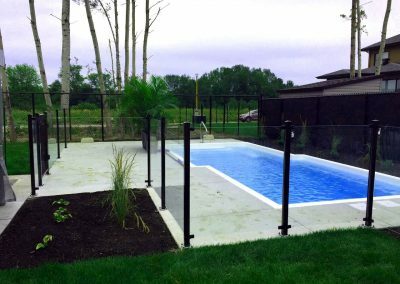 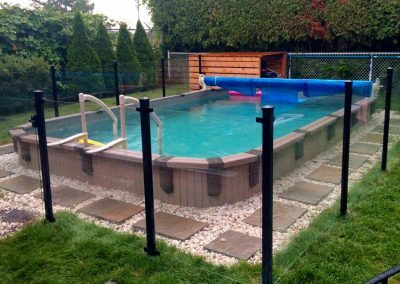 Add a gate with self-closing hinges, and that becomes an ideal solution for pools and terraces. 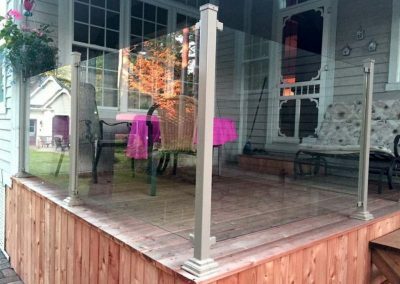 Glass gives a new perspective to the security by combining the lightness of the glass at a solid structure. 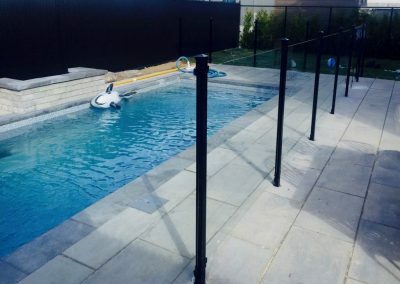 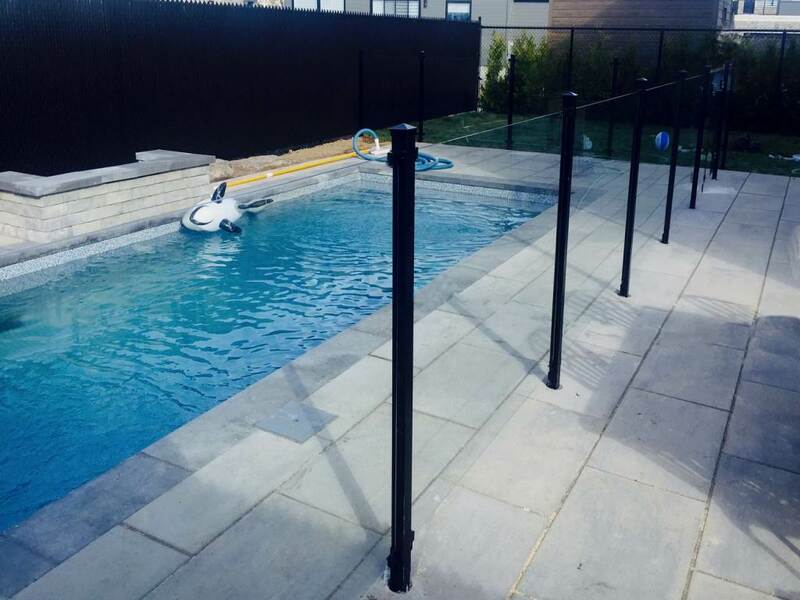 Due to a large number of drownings, the government have recommended a regulation on pool fence and made it mandatory. 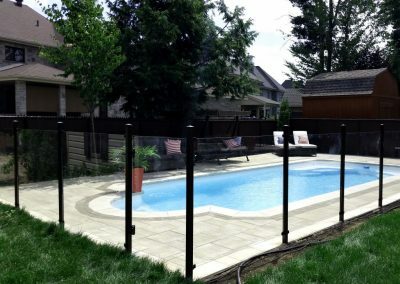 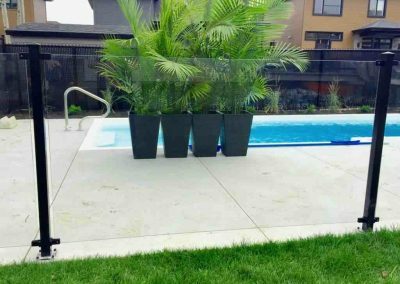 A Glass pool gate occupies the same conditions of safety, than a traditional gate, with the privilege of ensuring an intact and unobstructed view from your guests. 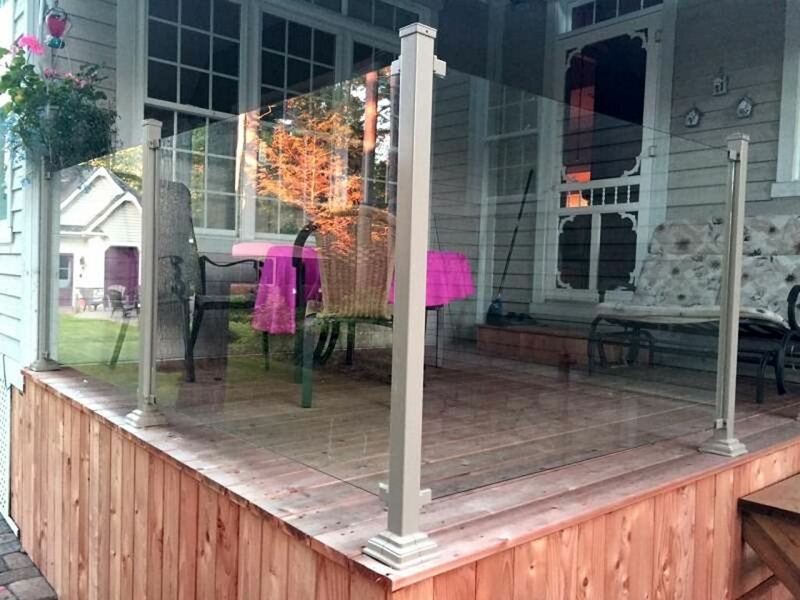 6mm tempered glass. 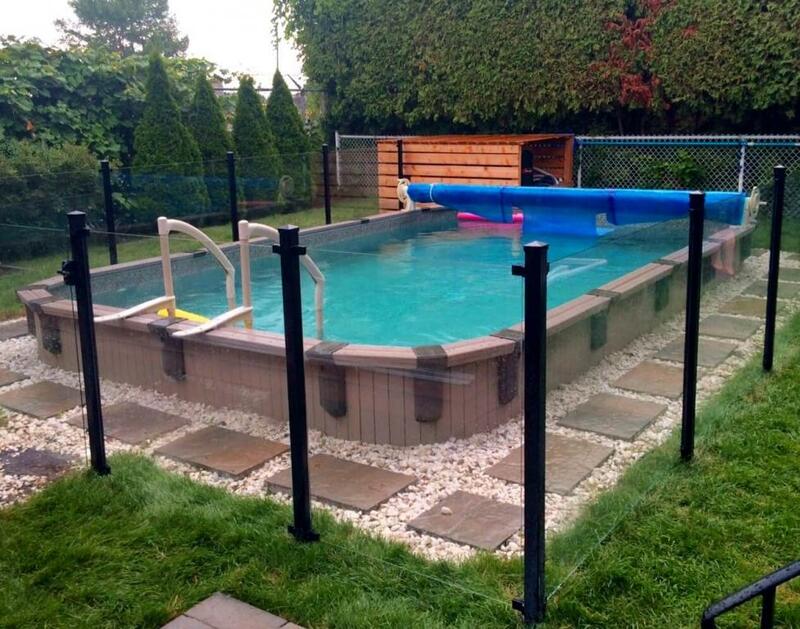 Hardly breakable and if it does break, it will be in small pieces so it does not spread, preventing injuries. 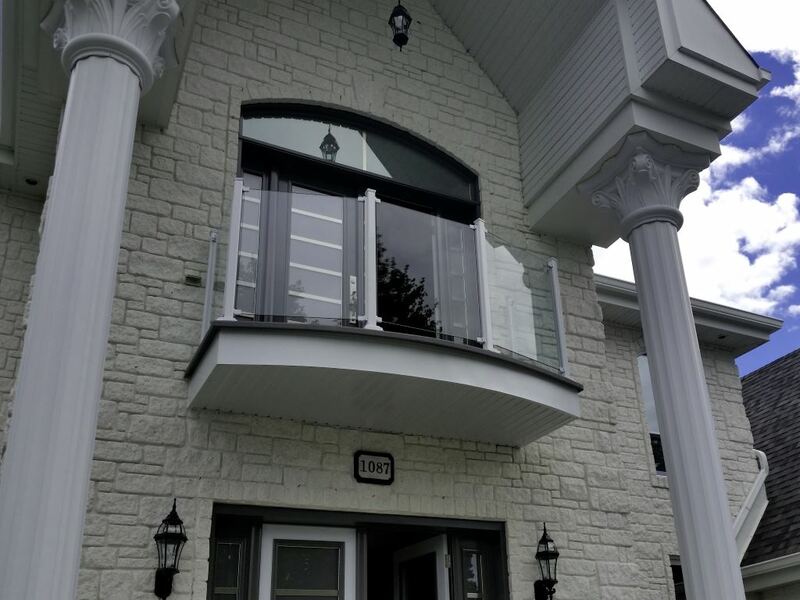 For added security, our doors are equipped with an automatic and controlled closing system. 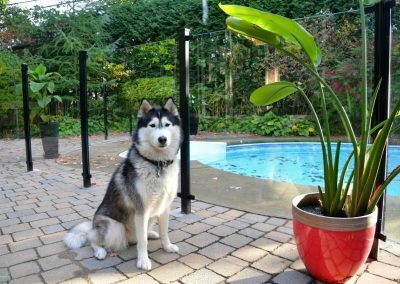 Even if you fail to close the door behind you, it will close all alone. 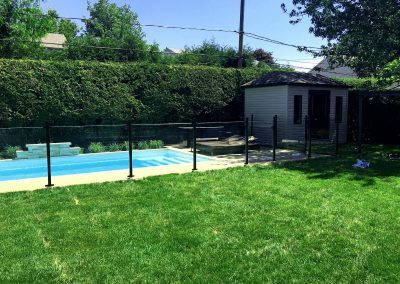 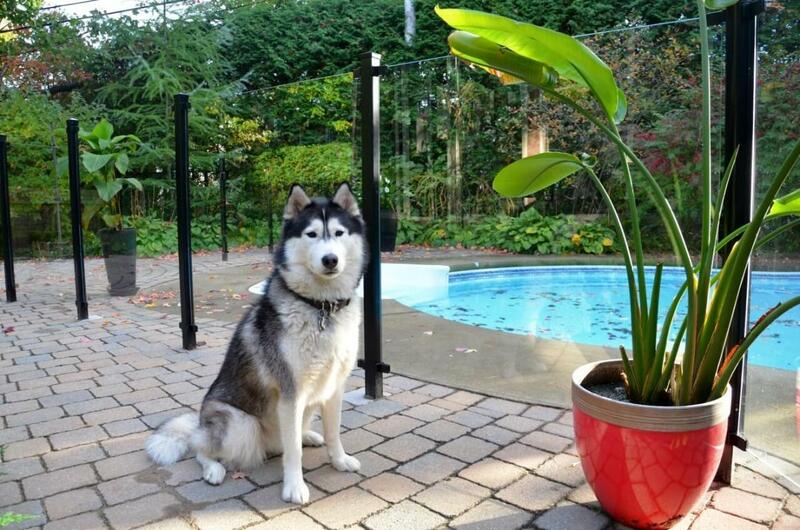 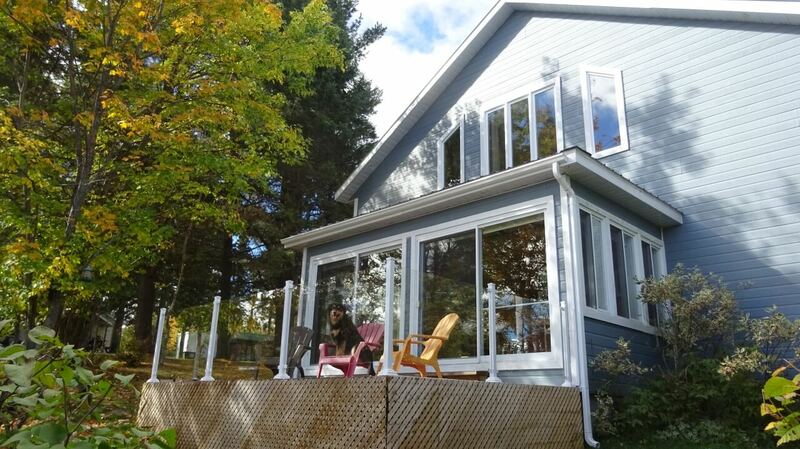 The glass fence, a high-end product with optimum safety. 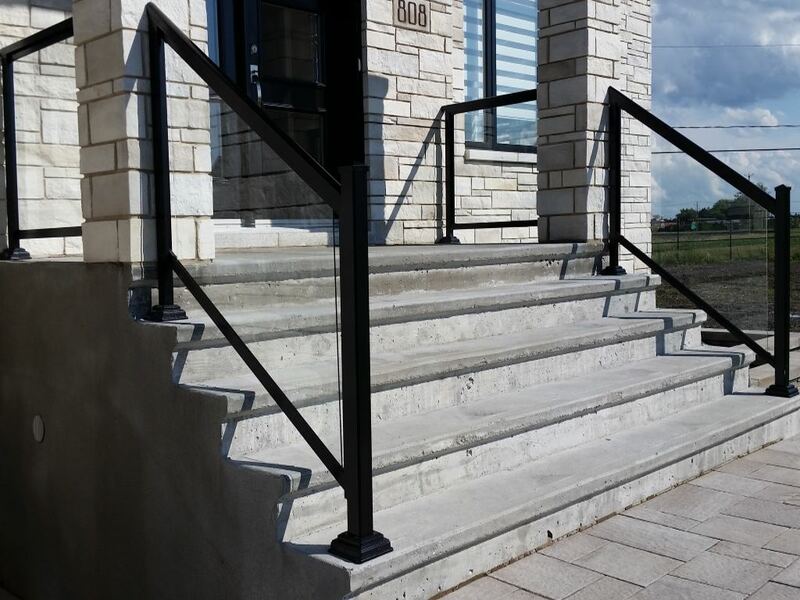 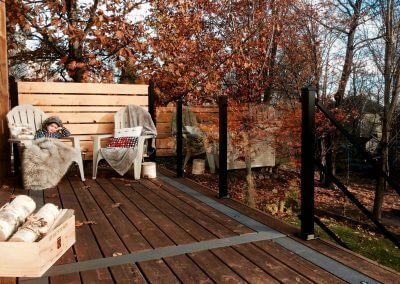 For an elevated deck, the glass railing is not only useful for the security, it’s also an important component to the exterior of the house. 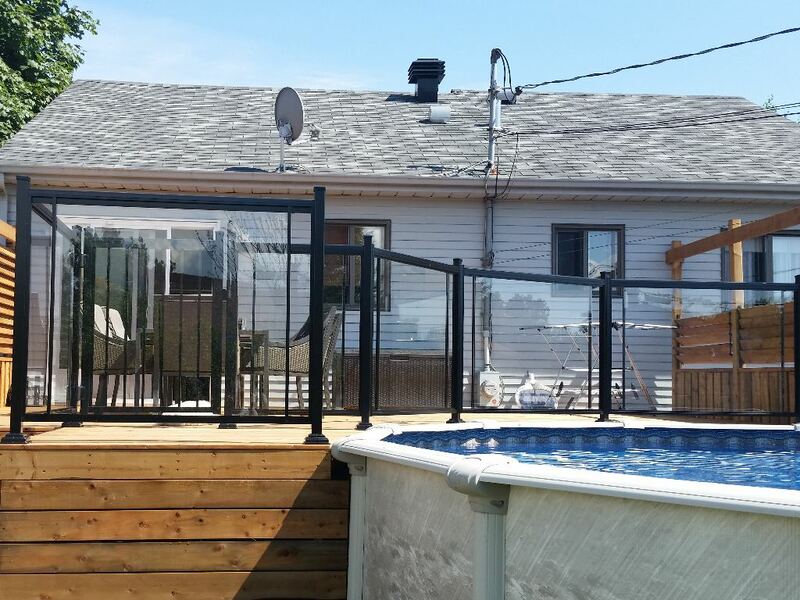 A railing made of glass panels present many advantages: it lets the lights in, gives an impression of the size of the terrace and let the guests enjoy the view. 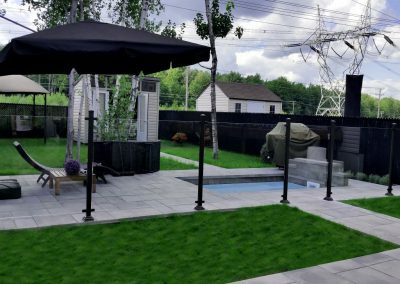 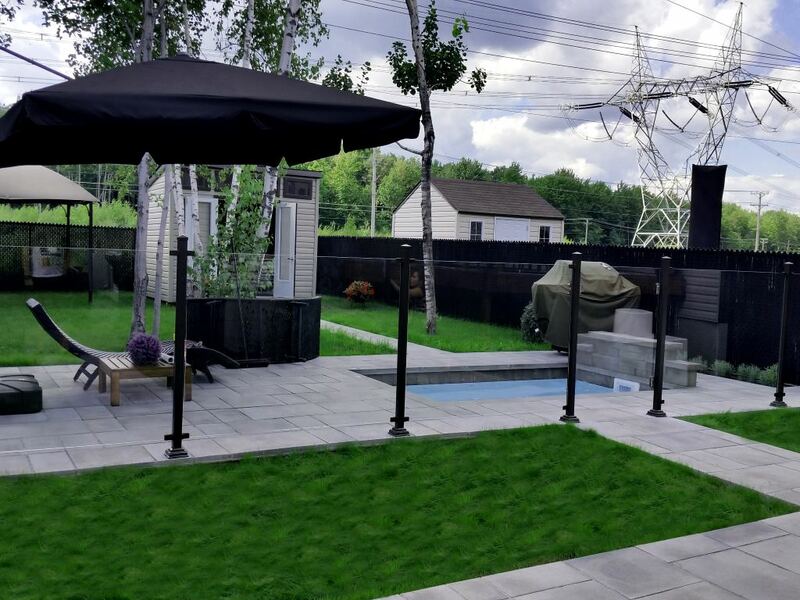 Feel free to visit our estimation page, to receive a budget price according to your needs, or simply come and meet us in one of our showroom in Terrebonne or Gatineau.